With more than 15 million views and more than 64,000 likes on YouTube, Randy Pausch’s last lecture continues to inspire people to achieve their dreams five years later. When Randy stood on the Carnegie Mellon auditorium stage to give his lecture on achieving childhood dreams, he was trying to leave a legacy for his young children. No one, not even Randy or the audience, could have imagined just how lasting his legacy would be. The Last Lecture was a series presented by Carnegie Mellon in which the speaker ponders his/her death. Although that wouldn’t have been difficult for Randy, a computer science professor and virtual reality geek who was dying of pancreatic cancer, the university had decided to rename the series “Journeys” before offering Randy the slot. 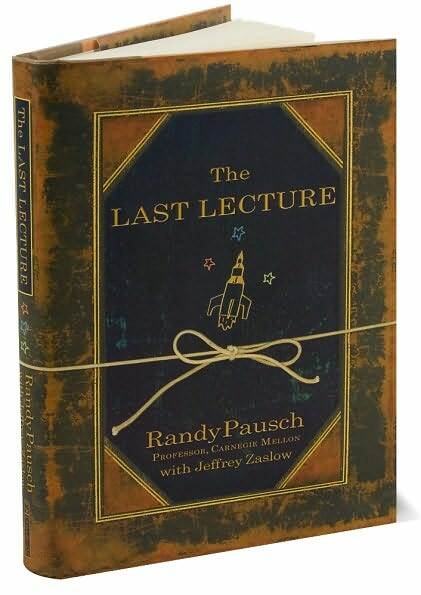 In this small book, Randy strengthens that legacy by recounting his life, how he came to be on the stage that night, and the advice on living he gave to that lecture’s overflowing audience. He wrote a little about death, dying with grace and living while dying. Great advice and humor are sprinkled throughout the book and the lecture. Randy used the humor to grant levity and avoid pity. As he said during his lecture after proving that he was in great shape by doing push ups, if anyone wanted to pity him they could come on stage, do a push up, and then pity him. He was happy. It’s all he knew how to be. He was a Tigger, not an Eeyore. The book while short, is chock full of inspiration and provides many thought provoking points throughout. I highly recommend this book to anyone who hasn’t read it yet. 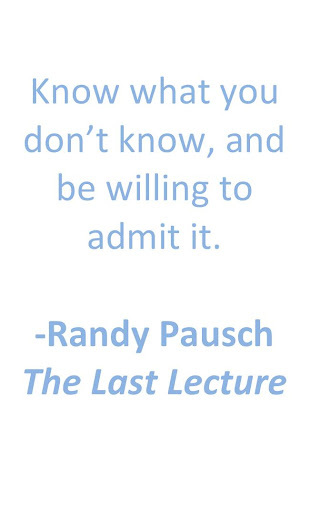 Randy Pausch passed away July 25, 2008 at his home. He lived five months longer than the three to six months his doctor had given him. He was survived by his wife, Jai, and three children, Dylan, Logan and Chloe. Representative of his legacy, his obituary was published in the New York Times. This entry was posted in books, culture and tagged 5 stars, goals, inspirational books, memoir, Randy Pausch. Bookmark the permalink.